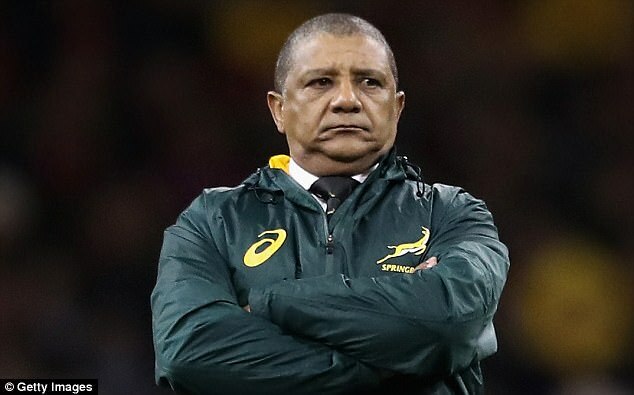 Sports Rendezvous: Allister Coetzee sacked as South Africa boss after accusing governing body of using him as 'a black South African pawn' in leaked letter. Allister Coetzee sacked as South Africa boss after accusing governing body of using him as 'a black South African pawn' in leaked letter. His departure came just days after the leaking of an explosive letter in which Coetzee accused South African Rugby of setting him up to fail. 'First and foremost we had to assess what is in the best interests of the Springboks,' said Jurie Roux, the chief executive officer of SA Rugby.